Acclaimed veteran saxophonist and educator Dr. Michael Cox released a new album earlier this year at the 5th Annual Mark Flugge Memorial Jazz Concert. 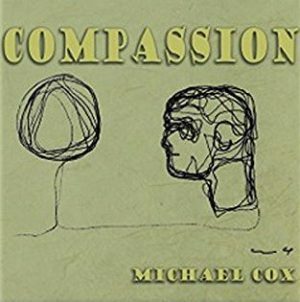 Entitled Compassion, Cox recorded this labor of love in 2015 with Chris Sulit at Trading 8’s Studio in Paramus, New Jersey, with Gary Versace on piano and organ, Buster Williams on bass, and Matt Wilson on drums. Cox wrote three of the tunes here, four are by colleague Stan Smith and four are compositions of Flugge’s, as Cox seeks to “keep his music alive and share it with the world.” The album is now available on iTunes, Amazon, and all major digital and streaming outlets. One great place to pick up a CD (and hear Cox live) is at the upcoming Columbus Jazz Orchestra season finale, “Legends of Rhythm & Blues: From Sam Cooke to Stevie Wonder & Beyond,” at the Southern Theatre April 26th – 29th (details and tickets here). Keep reading for my thoughts on this heartfelt collection created by four masters. Album opener and Flugge tune “Yarnek” kicks off with a ruminating solo by Williams before settling into a cool groove topped by a sensitive tenor sax melody from Cox, who also contributes texture via bass clarinet for the first of several times on the album. Cox’s sax solo is bursting with technique and nuance with help from the inspired rhythm section, and Versace’s piano passage has a subdued and at times mysterious elegance. The relaxed whimsy of Cox’s “Blackjack Blues” finds Versace on organ, and the earthy blues is a perfect vehicle for an extended smoky excursion by Versace and thoughtful blowing by Cox before ending with a jam that puts Wilson’s drumkit through a spotlit workout. Flugge’s “Familiarity” is light and loose, with Cox and Versace (on piano) dancing in the melody’s foreground. Williams and crew are swinging hard for breezy but impactful solos from the ensemble. Smith’s composition “Cheryls” unfolds slowly, and the composer’s guitar meshes well with Cox’s soprano sax, Versace’s piano and the delicate touch of the rhythm section for a reflective journey by the group. Cox’s “Sunny Rhythm” bubbles to life through Versace’s organ before additional voices ease into the piece and Cox leads the way into a vibrant Calypso feel. Lively organ also features prominently in Smith’s “Used To Be,” and Cox’s flute is a multi-faceted element on the relaxed but pointed tune. His solo ascends to dramatic heights, the rest of the band offers their own articulate passages, and then they jam to a warm conclusion. After Cox’s stately classical-influenced tune “Adagio,” Flugge’s “Soiree” swings out of the gate, and Cox gets cooking on alto over the sunny output of the rhythm section. A second consecutive Flugge tune, “Compassion for All,” moves at a slower, contemplative pace, and Cox’s sax and flute tracks counter each other in picturesque fashion. Cox’s “Mi-Fa-So F’Ornette” was written and recorded soon after Ornette Coleman’s death in June 2015, and, as Cox noted, he credits “these musicians with bringing the music to life…the players move together based on energy and exploration” – indeed a compassionate performance by the ensemble. Final track “More Cheryls” is a fitting sequel by Smith to “Cheryls,” with more beautiful playing highlighted by Versace’s lovely piano solo.